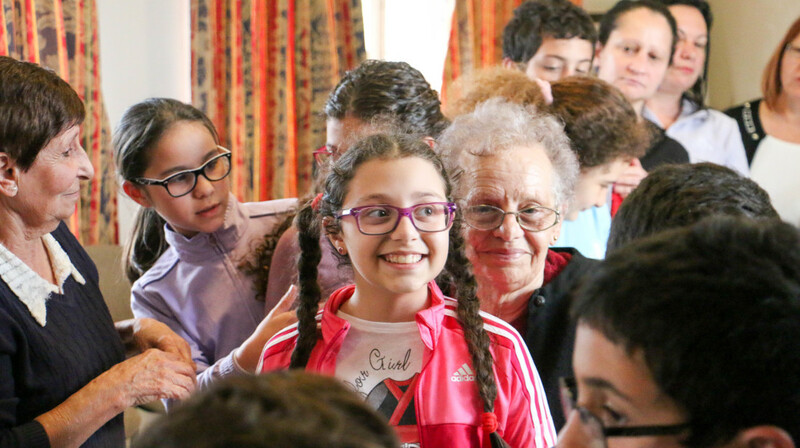 Registration for participation in Darba Waħda, the Valletta 2018 project which brings children and the elderly together to participate on a number of a fun activities including storytelling, drama, art and games, is now open. The free sessions are led by applied drama practitioner Anna Formosa and will be running from the end of September to December. Throughout the sessions participants learn from each other, exercise their creativity, develop new skills, experience self-development and have fun in a safe, creative environment. The project promotes a sense of community and a sense of well-being. Registration is open to children aged 9 to 12 years and adults over 60 hailing from the following localities: Marsaskala, Zejtun, Zabbar, Siggiewi, Żebbug, Birkirkara, Zurrieq, Qrendi, Safi, Mqabba and Kirkop. Those interested in participating can register at their respective Local Council. Localities will be grouped together and sessions will be held in spaces located in the area. Sessions for Marsaskala, Zejtun and Zabbar will take place at the Zabbar Local Council Hall; sessions for Siggiewi and Zebbug will be taking place at the Siggiewi Local Council Hall; sessions for Birkirkara at the Birkirkara Local Council Hall, while those for Zurrieq, Qrendi, Safi, Mqabba and Kirkop will take place at the Kirkop Local Council Hall. Zabbar sessions will take place on Wednesdays starting 28th September; Kirkop sessions on Thursdays starting 29th September; Siggiewi sessions on Fridays starting 30th September; and Birkirkara sessions on Mondays starting 3rd October. Those interested in joining should register by contacting their local council. Transport to and from the venue will be provided.